Based in Kewaskum, Wisconsin, Heavy Duty Ramps has been manufacturing lightweight aluminum ramp systems for over 30 years. Using innovative designs and lightweight aluminum alloys, HDR has created a unique product assortment that enables our customers to solve loading, hauling or transportation challenges safely and at a reasonable cost. Our lightweight aluminum products are far superior to steel alternatives as they never rust, are light and easy to handle but are built-strong to never fail. Our product assortment has traditionally centered around loading ramps and ramp systems for anything from a flatbed trailer, to a pick-up truck for a motorcycle, a trailer for car hauling and even large aircraft loading applications for the military. Our designers are problem solvers – if it can be loaded we have a ramp for that application. Our welders are AWS certified and all products go through rigorous quality control reviews before they leave our plant. Soon, we will be adding robotic welding cells to our plant to improve productivity and quality and as a way of helping to keep our costs as low as we can. 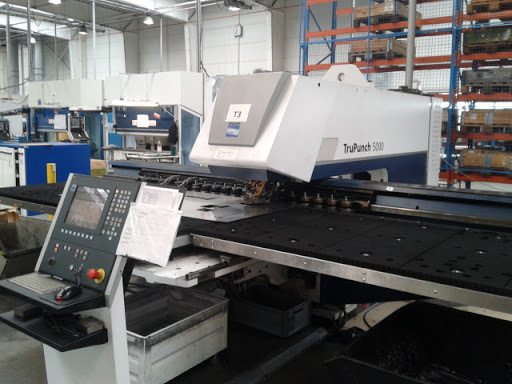 This CNC controlled aluminum punch machine is used to create the unique punch plate EZ traction surface used in many of our ramp systems (mobility, commercial and powersports). 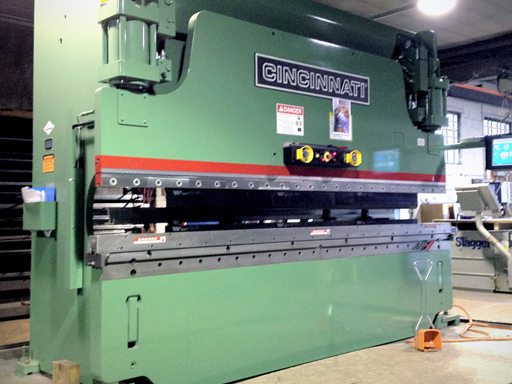 Our CNC controlled 175 ton brake press allows us to custom fabricate any part of our ramp systems in-house, ensuring the highest quality products at the lowest prices. We house a wide variety of automated aluminum cutting machines to create the safest environment for our employees, and maximize production. Heavy Duty Ramps is known throughout the industry for building the lightest and strongest ramps available on the market! Using patented designs, proprietary extrusions, and unique aluminum alloys, our ramps provide our customers with the products they need to load or haul their cargo safely, efficiently, and in an ergonomically friendly way. We recognized the need to design ramp systems that individual truckers or crews could easily handle without back strain. Our team of engineers performed extensive research and testing to create an ultra-lightweight ramp with a high weight capacity, resulting in numerous patents awarded to Heavy Duty Ramps over the years. A modular portable aluminum loading dock – allows forklifts, vehicles, equipment and cargo to be loaded into semi-trailers or docks either a dock doesn’t exist or space doesn’t allow for other solutions. Each of our products are designed with lightweight military-grade aluminum. 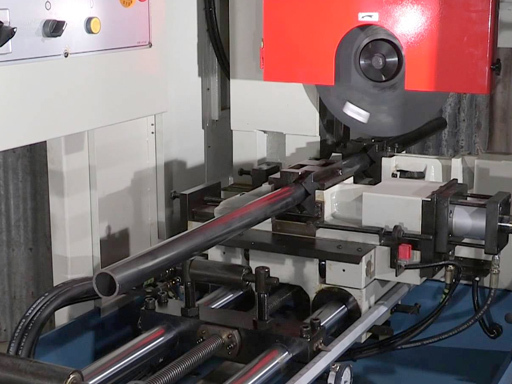 Our engineering team designs aluminum extrusions that create a safer, stronger, and more durable product. These proprietary extrusions allow us to manufacture more efficiently, and gives our products the professional look that customers require. Our welders are AWS certified, and professionally trained to weld aluminum safely and accurately, resulting in consistently superior products that will last for years.